A young Penan mother and her baby leaving their old longhouse at Long Tangau to their new resettlement village at Metalun last Sunday. – The Malaysian Insider pic, December 3, 2013.The 77-day Penan blockade of the Murum hydroelectric dam has been lifted, following an extra RM8,000 offered to each family. The end of the blockade was announced yesterday by one of the state’s Native Customary Rights (NCR) land lawyers, Abun Sui Anyit. Senior Minister Awang Tengah Ali Hassan claims the compensation demanded by the Penans is unreasonable and illogical. The Sarawak government claims it has “not finalised” the implementation of the Baram project and has urged the communities not to listen to rumours and be unduly worried. Shahnaz Abdul Majid arrives at Kuala Lumpur Syariah Court. The ex-wife to the son of Sarawak Chief Minister Tan Sri Taib Mahmud was asked at the Syariah court here today whether she was a virgin when she married him. A group of 80 NGOs and social activists are urging that all works related to the Baram and Murum dams in Sarawak cease immediately until ‘open and fair’ consultations have taken place with the local community. In particular, they want the Sarawak state government-related corporations, contractors and agents to stop the impoundment at Murum Dam and arson of nearby Penan communities. Affected by the proposed land acquisition for the dam, they are questioning the constitutionality of Section 5(3) and 5(4) of the Sarawak Land Code. Natives from Long Na’ah and Long Kesseh in Baram are suing Chief Minister Taib Mahmud and the state government over the proposed Baram dam project which will eventually drown their ancestral and communal land. The Orang Ulu community of an estimated 300,000 in population, compared to 2.5 million Sarawakians, cannot afford to pull away from the mainstream of development and face isolation. In this context, the community, especially the younger generation, has to work together if the community is not to be left behind and become part of mainstream development and progress in the country, said Telang Usan assemblyman Dennis Ngau Jok. Over the past few days news has come through from both of the main Baram Dam construction sites that Sarawak Energy (SEB) has beaten a retreat. However, the local blockades, which are being manned by surrounding communities, remain in place to ward off further moves by the state owned company to re-start the dam building project. The development represents a solid victory for the local people, who are adamantly opposed to the planned mega-dam, which will drive thousands from their homes and flood vast areas of rainforest. Protesting natives have ‘successfully’ chased away Sarawak Energy Berhad workers at Baram dam construction site and blockaded the area. Natives, mostly Kayans, from Long Lepaut and Long Kesseh which is downsteam from the Baram Dam site are staging the third phase of their blockade in Long Lama, making the project area inaccessible to Sarawak Energy Berhad (SEB) workers and officials. Natives have successfully blocked works on the Baram Dam and its access road in Sarawak, says the Swiss-based Bruno Manser Fund. In a statement, it said that last Wednesday, indigenous landowners had set up two blockades in the Baram district on the Malaysian part of Borneo. This has prevented workers in the area from pursuing their work on the proposed Baram Dam. The Penan of Baram in Sarawak thought their lives would change for the better after the National Taskforce was set up in 2009 to study their problems. However, four years later, Amelia Balan, 22, and other Penan women continue to suffer the same problems plaguing their village in Baram Tengah. The promises of the government to offer them protection from sexual attacks, birth registration and citizenship problems and water and healthcare facilities have yet to be fulfilled. The US$1,700 entrance fee to Taib’s showcase dam building conference, which opened at the Borneo Convention Centre today, is well beyond the means of all the poor folk who stand to be affected by his catastrophic plans to swamp Sarawak. However, they gathered in protest outside and made their voices heard and their presence felt anyway. Did Mawan really beat the odds? Embattled and coming-from-behind SPDP is now a stronger party, having retained its four parliamentary seats – Saratok, Mas Gading, Baram and Bintulu – despite the odds. 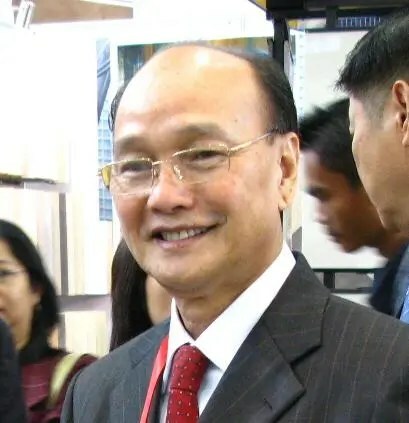 SPDP, an acronym for Sarawak Progressive Democratic Party, was tipped to lose at least three seats – Saratok, Baram and Mas Gading – in the 13th general election. But the wins have now further strengthened the party and its president William Mawan, who risked reputation and political power when he volunteered to contest the Saratok parliamentary seat. Sarawak Chief Minister Taib Mahmud’s recent visit to the sleepy hollow of Long Lama, a remote logging outpost in Sarawak’s vast Baram region, was met with protests from indigenous groups over many issues plaguing their community. Some 70 people took their protest right up to the doorsteps of Baram MP Jacob Dungau Sagan’s office, which played hosted a function featuring Taib as the guest of honour last Saturday. The BN risks losing a stronghold – the Baram parliamentary seat in Sarawak – in the next general election if the state government persists with building a mega-dam there. This is because more than 80 percent of the 21,716 voters and their families are claimed to be against the project. “If the anger of the people can be translated to votes, the BN is certain to face defeat,” said Thomas Jalong (left), the president of Jaringan Orang Asli Semalaysia. Save Sarawak’s Rivers Network (SAVE Rivers) and Baram Protection Action Committee (BPAC) take to task the MP for Baram over a “preposterous” statement about the Baram Dam project. With reference to the statement by Baram MP Jacob Dungau Sagan that appeared in The Borneo Post (26 July 2012) headlined ‘Govt follows requirements on dam construction’, we in Save Sarawak’s Rivers Network (SAVE Rivers) together with the Baram Protection Action Committee (BPAC) would like to make the following statement. “According to the map based on intelligence and calculations by the Bruno Manser Fund (BMF), the 162 meter high Baram dam would flood a rainforest area of 412 square km (41,200 hectares) and at least 26 indigenous villages, causing the displacement of up to 20,000 Sarawak natives…A Swiss based NGO has released what they call a “secret map” that paints the picture of the environmental devastation that the proposed Baram dam in Sarawak will cause.